Isn't it amazing that two wheels could help you become the healthiest you’ve ever been? Cycling is a great aerobic workout that revs your heart rate for increased calorie burn and improved muscle tone. 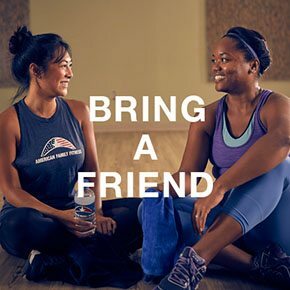 Try a group class today! Are you ready to spin your way to a new level of fitness? Cycling group classes at American Family Fitness in Midlothian are here to get you there. With motivating instructors and pace-setting music, you are able to give everything you have to the bike. Propelled only by your legs you will climb and descend mountains, race over flats, and roll over hills. Hop on and give cycling a try. With cycling group exercise at our Midlothian health club, you can expect motivated instructors and pre-choreographed classes like Ride and Ride 30. Or you can take it to the max with Cycle 45 and challenge yourself to maneuver hills, flats, and all types of terrain. Cycle Bootcamp is a full body workout with interval training both on and off the bike. Try one or try them all! We offer cycling group classes several times a day throughout the week for your convenience. 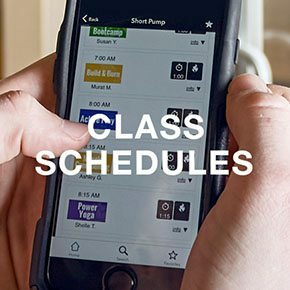 Visit our Class Schedules page to locate the dates and time of your favorite class. Sign up is required to ensure bikes are available for everyone.